As far back as you want to go there have been philosophers who have tried to find God or the meaning of life from a human perspective. On the other hand some have tried to disprove God from the human perspective in order to prove that there is no God. One is trying to prove and the other trying to disprove. It has and will be an innate internal drive to understand our own existence. Another aspect of this desire will be to move you in a certain direction, to move you towards God, but it may move you away. 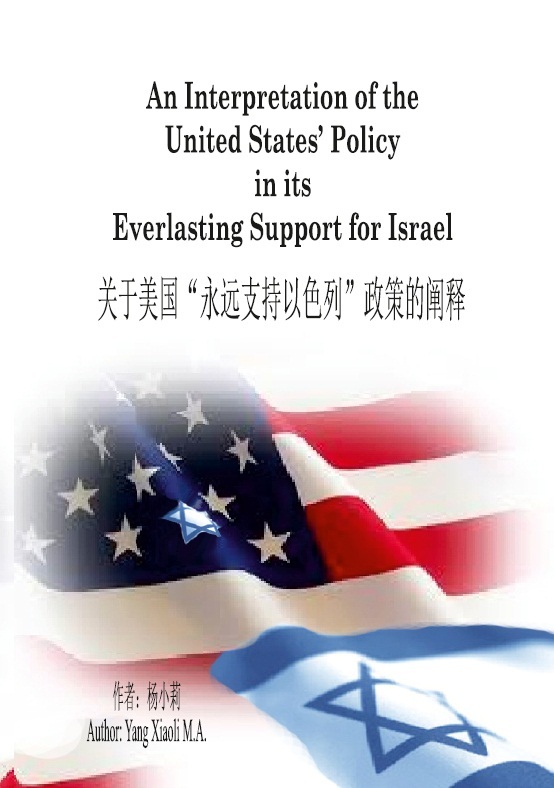 Abstract: There is a motive for any nation to make its policies, so it is true with the formulation of the United States’ Policy in Its Everlasting Support for Israel. People without the knowledge of God will inevitably explore its motive from rational aspects. However, the U.S. policy, I believe, is far more than its rational reasons. This article tries to explain the special status of Israel in the redemptive plan of God, trace the Christian foundations of the United States, explaining the United States’ Policy in Its Everlasting Support for Israel from a hyper-rational angle.